BenQ W1200 review | What Hi-Fi? We’ve become used to the ever-increasing quality and value offered by today’s display devices but, even so, there’s still room for the occasional surprise package. And that’s certainly what BenQ has managed to deliver with the W1200. 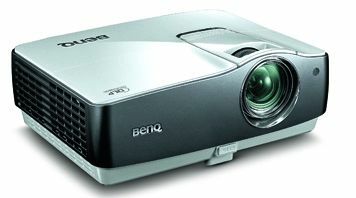 Based on DLP (Digital Light Processing) technology, the BenQ combines a useful degree of plug-in-and-go simplicity with all the adjustability an enthusiast could want, including provision for a professional picture calibration by an ISF (Imaging Science Foundation) technician. Criticisms are few: there’s no vertical lens shift adjustment so, unlike Epson’s rival designs, a table-top installation might be a little more convoluted than with some rivals. a hit and miss affair, with movement on the ‘smoothed’ film frequently looking too much like video for our tastes. However - as with TV processing - you can turn this feature off if you prefer. Otherwise, you’ve got it all here: bright, punchy whites, spectacular colours, respectable black depth and very little apparent picture noise, plus no discernible deterioration from the so-called ‘rainbow effect’, which can plague cheap DLP projectors. It’s even fairly quiet. What more do you want – cake?